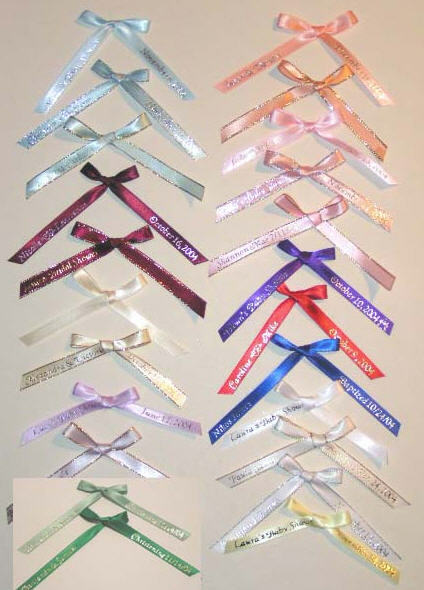 Have your favor Personalized with your name, date & symbol or with any message you want printed on a double-side custom satin ribbon of your choice. The price includes tying the ribbon into a bow with both messages showing in front. Left and right side.Choose your ribbon color and imprint color. Size : 12" x 3/8"